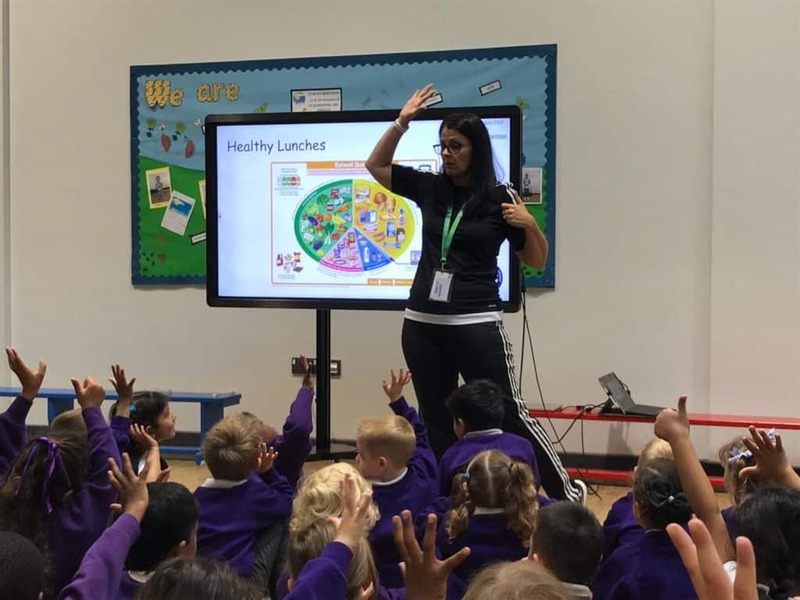 Children from Reception to Year 4 took part in a Healthy Lunchbox assembly led by Amber Ollier of the Milton Keynes North School Sports Partnership. This year at Fairfields we are working closely with the Partnership to promote Healthy Living and lifestyle to our families. We will inform you of future, relevant assemblies where you will be free to join us and find out more about how we can all lead a healthy lifestyle. Amber chatted with the children about the importance of a balance of foods in order to stay healthy. We were impressed by some of the children’s knowledge about food and have encouraged them to think about the choices they make in their diet e.g. choosing to drink water instead of fizzy drinks. The children found out that a normal can of coke contains 9 spoonfuls of sugar!! No doubt they will be keeping a close eye on all of us adults as well!!! Please take time out to look at the Powerpoint presentation with your child to discuss the importance of the different food groups. Should you require any further information about Healthy Lunchboxes please do not hesitate to contact us.